Having an online store that works across all devices – smart phones, tablets and everything in between is no longer just a cool feature – it’s a necessity. Many small business owners are on the go – not sitting in front of their computer. This shouldn’t limit their access to managing their online store. 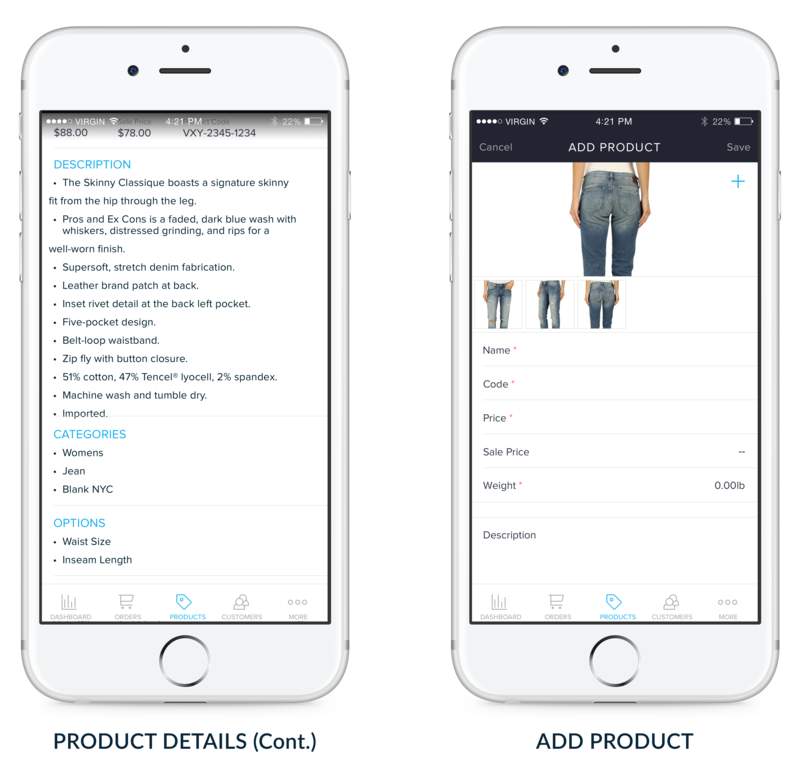 Small business owners need the ability to easily add products or edit existing ones. They need to monitor revenue and order activity. And they need to be able to capture payments and process orders wherever they are. 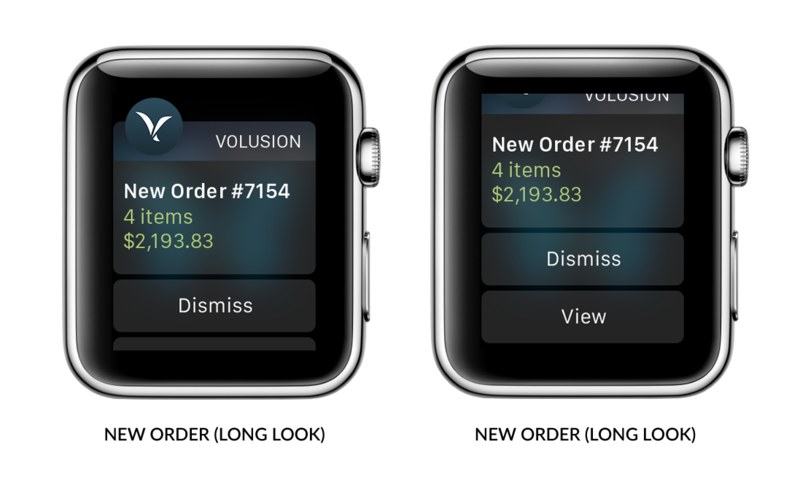 The first release of the Volusion Store Manager app was in 2013. While it was a good start, and users were happy with the product, we knew we could do better. One of my first assignments after joining Volusion in the fall of 2014 was to help design the second edition of the app. 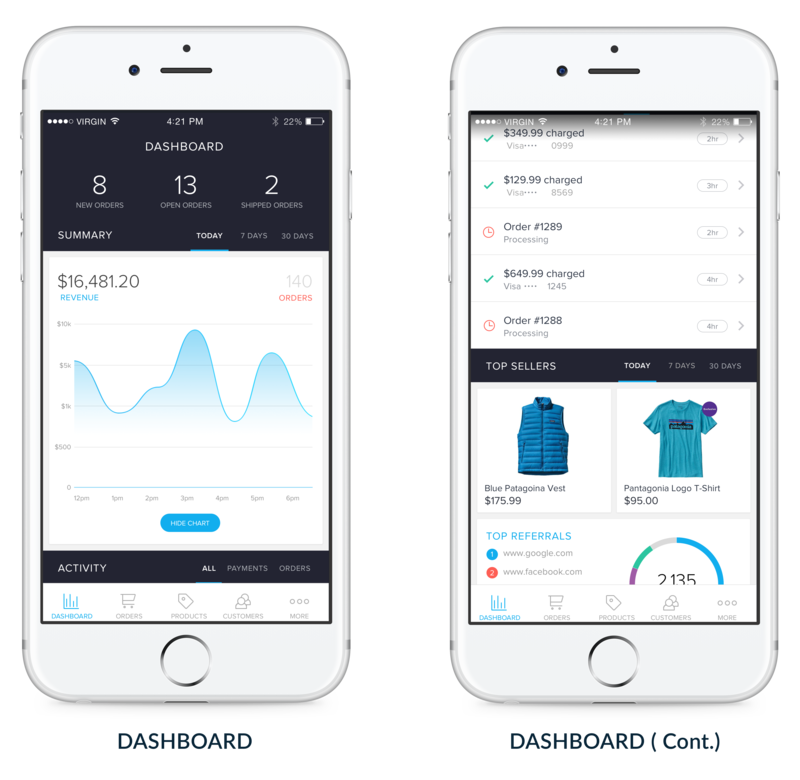 Besides giving the app a much needed face lift, we totally redesigned the dashboard and include graphical representations of revenue and number of orders. Also, we added alerts for low product stock, top search terms and improved filtering. 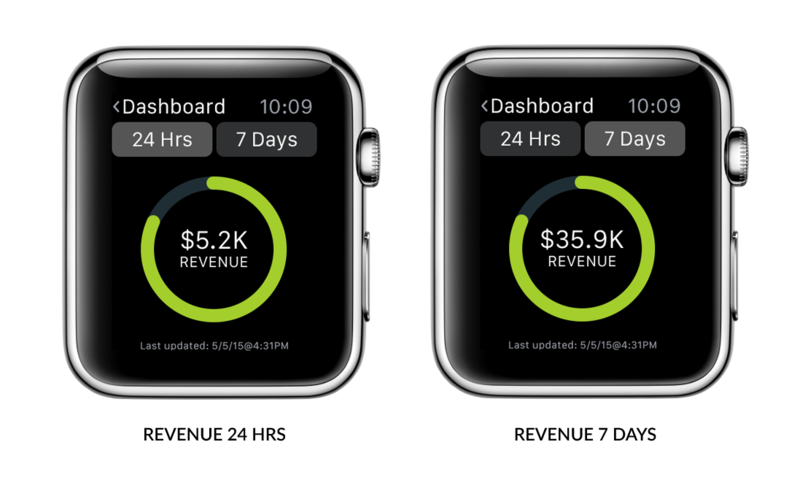 In addition, we expanded the app to include Android phones and tablets, the iPad and Apple Watch. 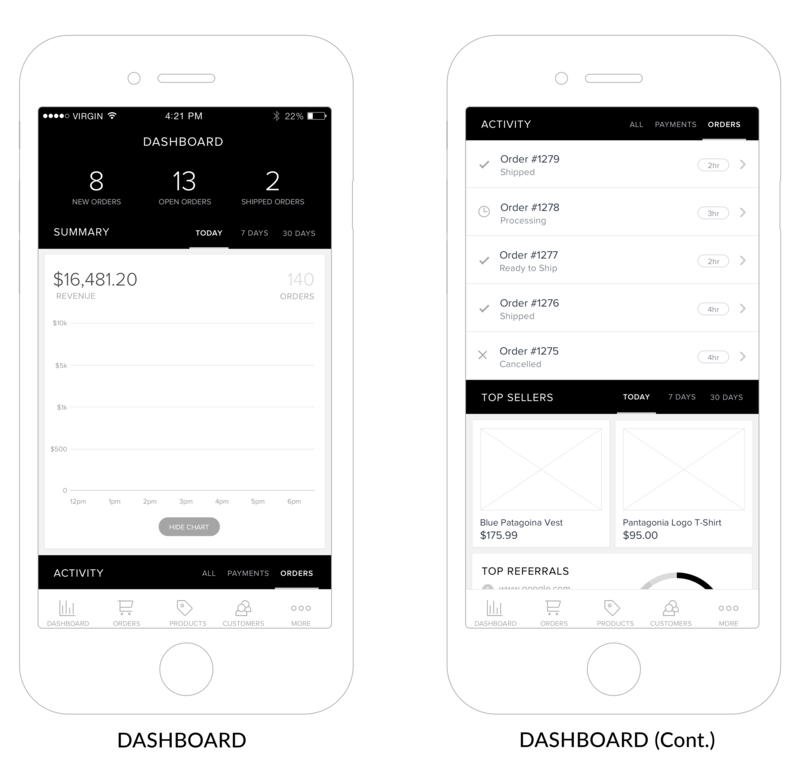 A few months ago we started on the next version of the app. After reviewing a huge amount of customer input, we started to build on what we had and implemented the features users were most asking for. 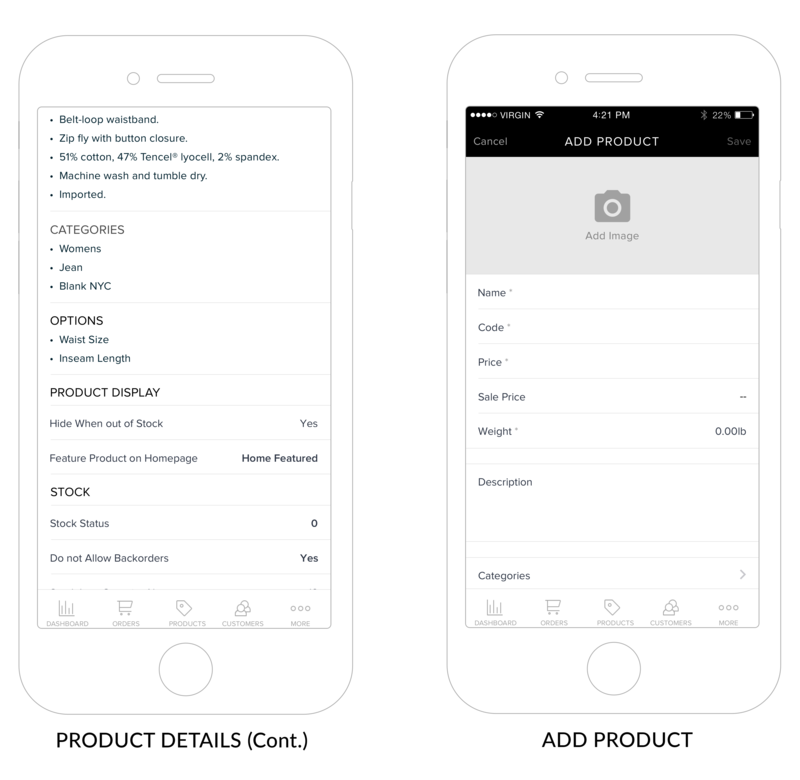 Across the board, the number one feature that was requested was the ability to add product photos. 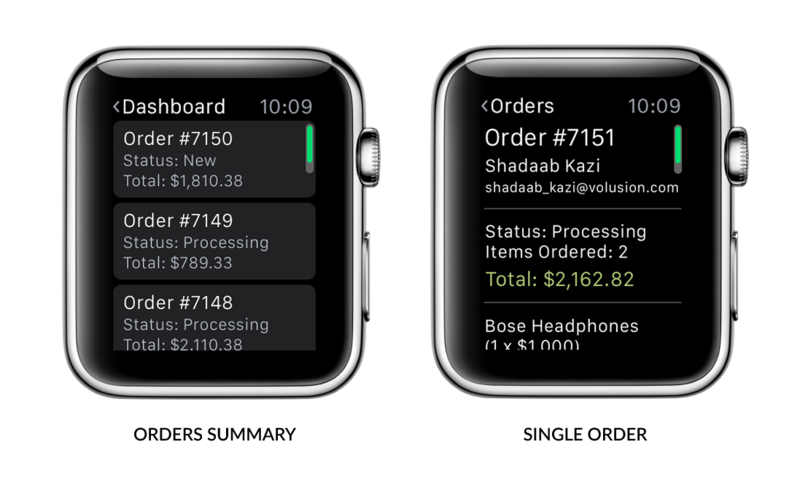 Next was an Activity Feed that gave the user an up-to-the-minute status report of sales and order status. Also, they wanted push notifications. 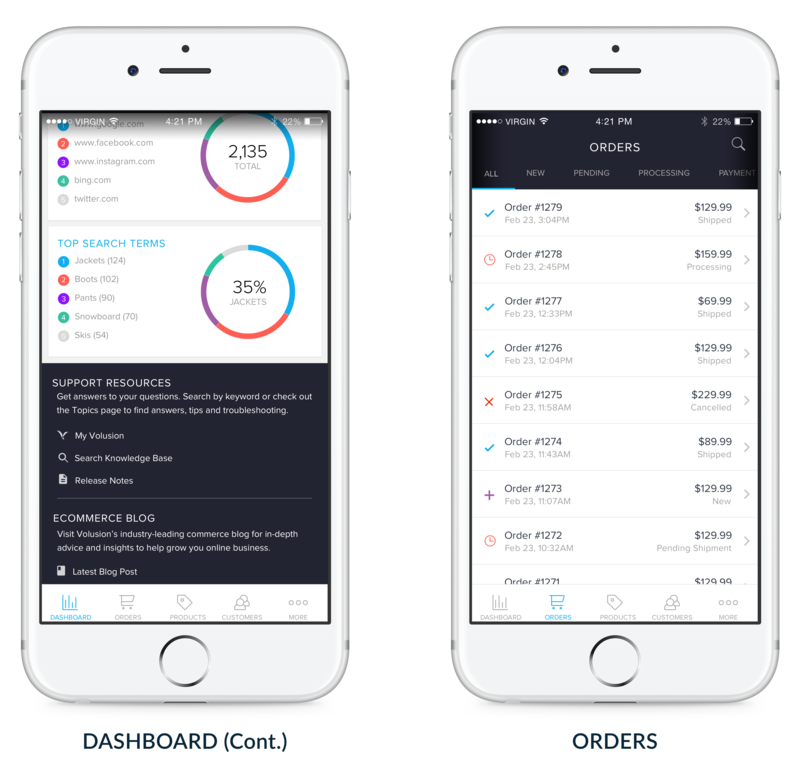 The Activity Feed is a way for users to get instant updates on payment and order information. Like most of us, a small business owner is usually on the go balancing work and family life. 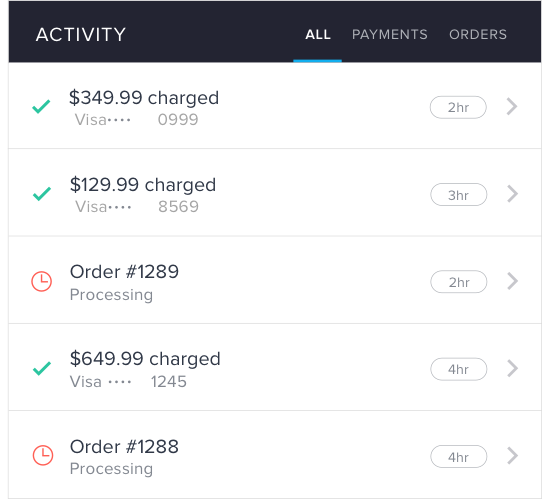 With the Activity Feed, a user can be standing in line at Whole Foods, get a push notification about a payment status and check their activity feed. A little of piece of mind for someone who has the very stressful job of running their own business. Looking at a grid of words on a mobile device can be tedious at best. A solution I put forward was to have corresponding icons for each variation of status. Thus once learned, a user could quickly, and without effort, identify the status of an order or payment solely by the icon. The current app is sorely hamstrung by the technology of the desktop app —which is seriously outdated. 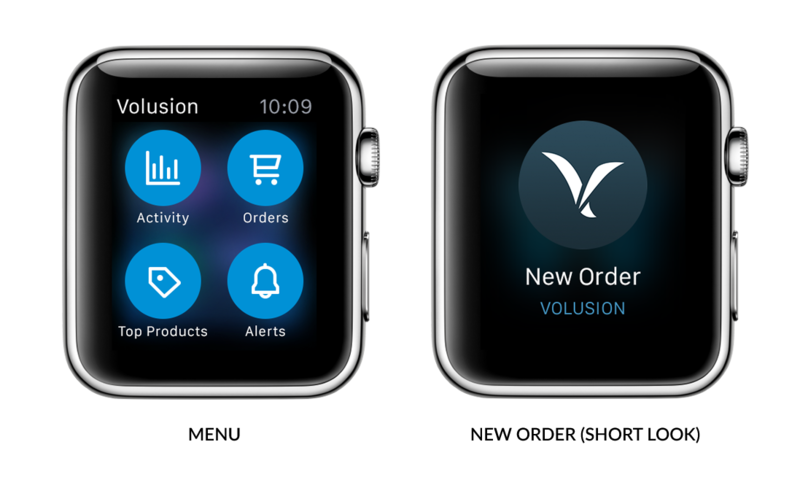 As Volusion ramps up its backend technology, things like data driven graphs are going to be possible. These segmented graphs are a quick visual for the user to analyze Top Referrals and Top Search Terms. Very valuable information or a small business owner. 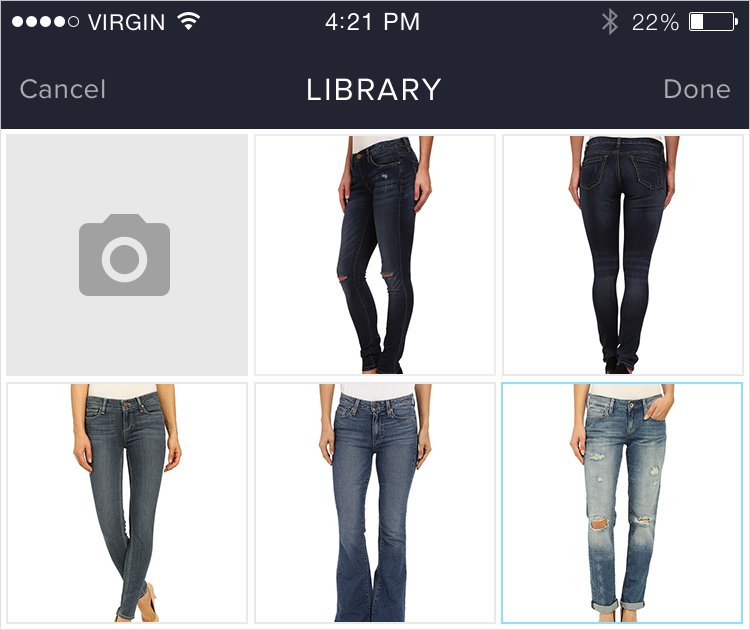 The most requested feature by Volusion users is the ability to add images via their phone or tablet. I came up with a solution where the user could either choose a photo from their photo library or take a photo on the spot. And they also have the ability to add multiple images. It would be nice in future versions of the software to incorporate photo editing as well. I worked on improving the current navigation. 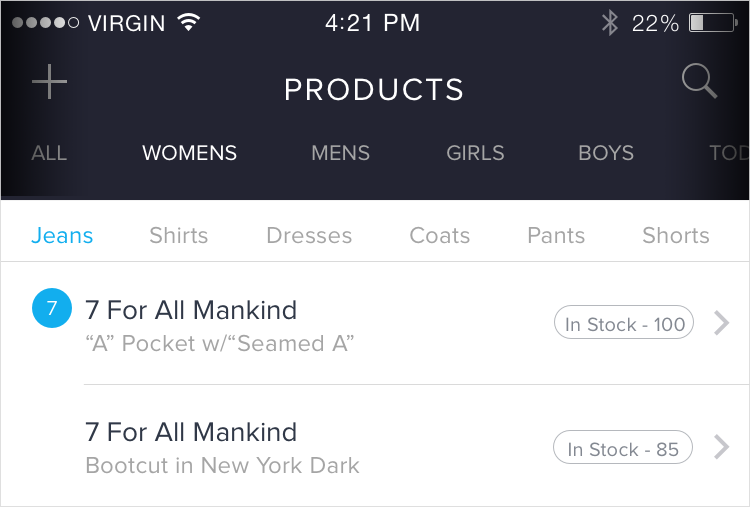 In the current app, the only way you can navigate is through a filter (Orders), or just not at all (Products.) I came up with a solution similar to the navigation in the Washington Post app. You just slide left or right to access main or sub categories. 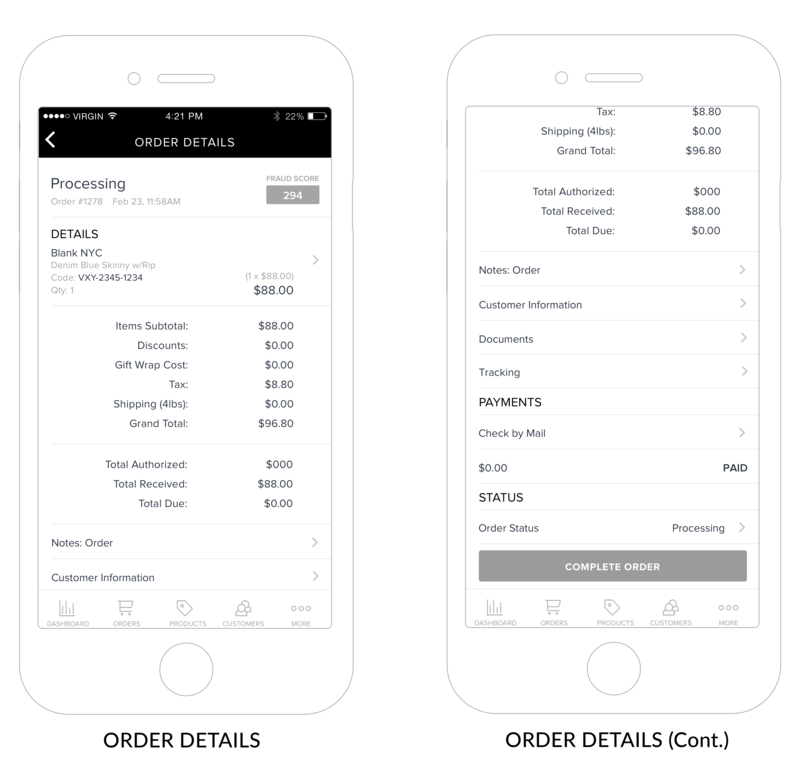 In regard to Orders, this eliminates the filter function that takes to the user to a separate screen, where they can only select one option, then go back. 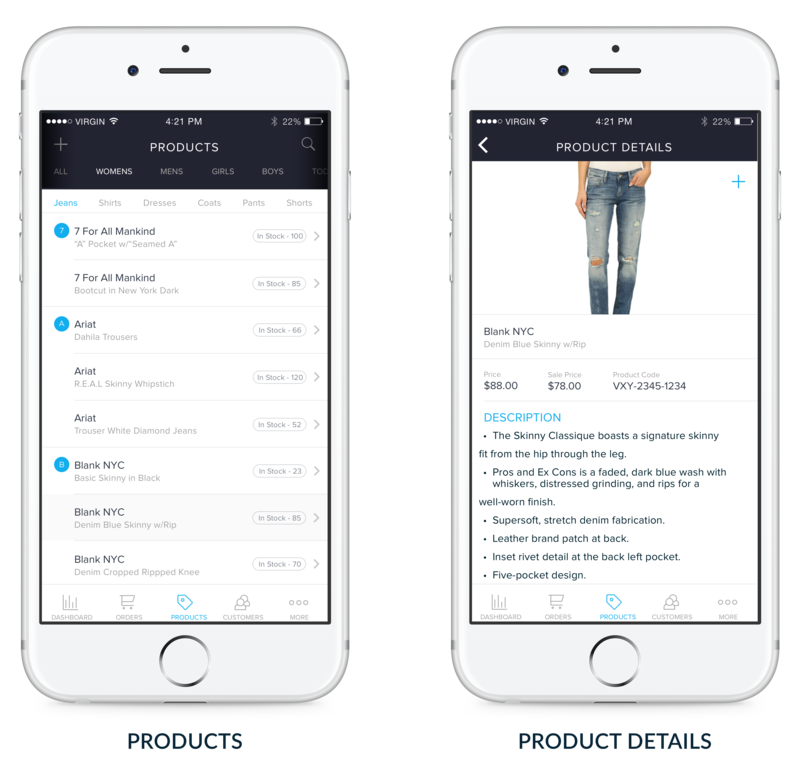 And with Products, it provides the access to much needed categories and sub categories. I went to work implementing these features into the latest version. As well as updating the design to match our updated Desktop app. Unfortunately, mobile isn’t a huge priority for Volusion, so I was unable to finish what I started and was pulled into helping with the desktop app. Hopefully the work I’ve done so far will see the light of day, and Volusion users will have a better and more enjoyable experience with the app. I believe if the user could have access to an activity feed on their dashboard, the user would be able to get instant updates on payment and order information. If I am right, we will see an increase in engagement with the app. Currently, there is no activity feed, so the user has to go to the Orders screen to view the latest updates. Also, there is no way to quickly view payment information. 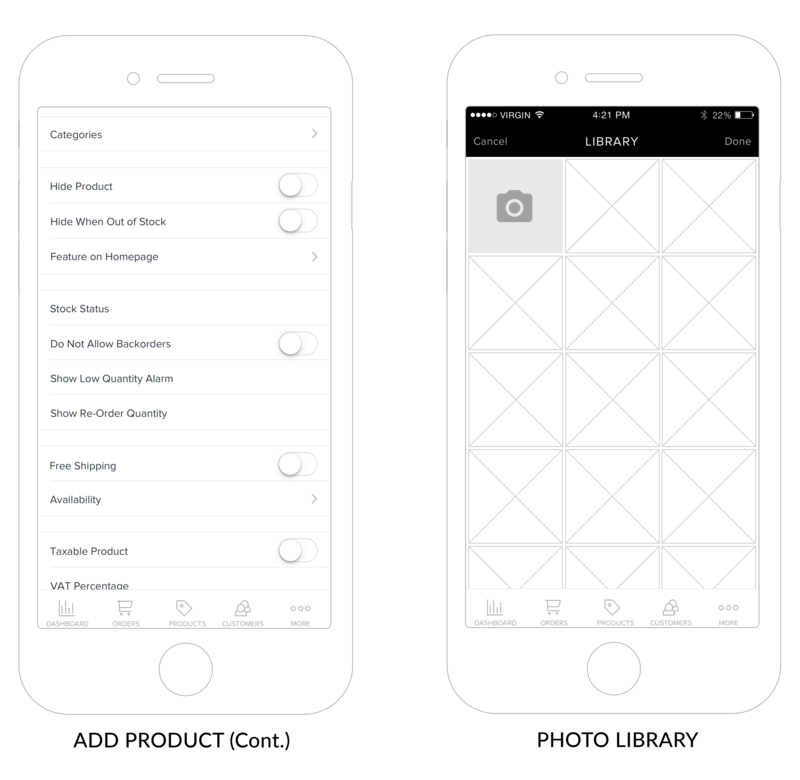 I believe if the user could add images from their phone when creating a new product, the user could more easily finish the task of product creation without having to go to their desktop computer. If I am right, the user will have a less frustrating time creating products. 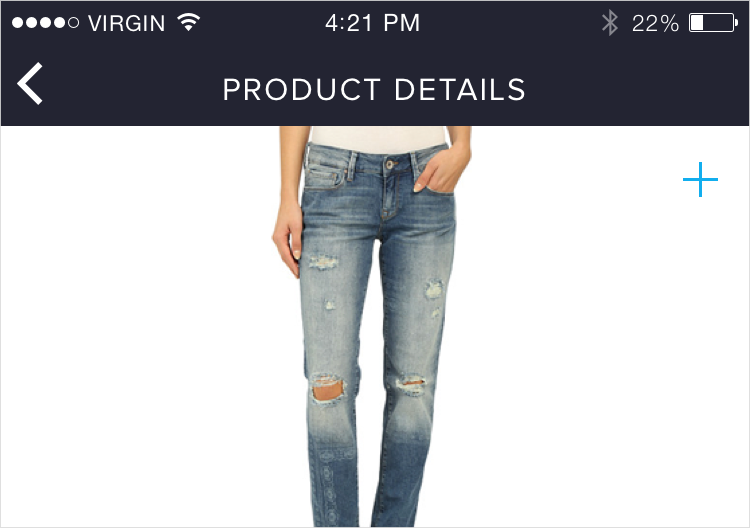 Currently, a user can create a product with the app, but doesn’t have the ability to add images. Without the ability to add images, this is a pretty useless feature. 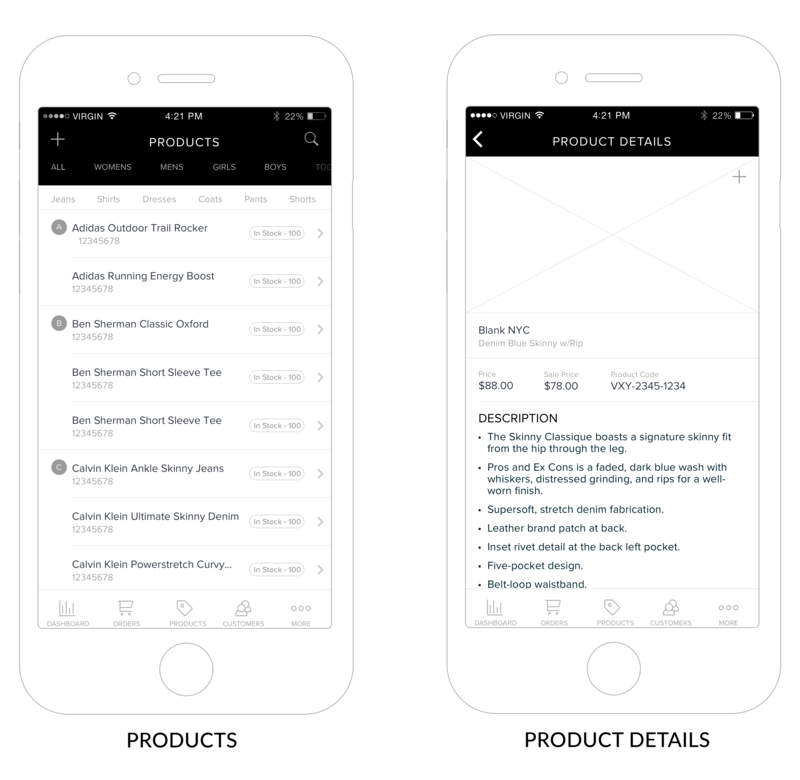 I believe if the user had access to a more robust navigation, the user would have greater ease navigating orders and products. If I am right, we will see increased engagement as it will be much easier to view categories and subcategories. 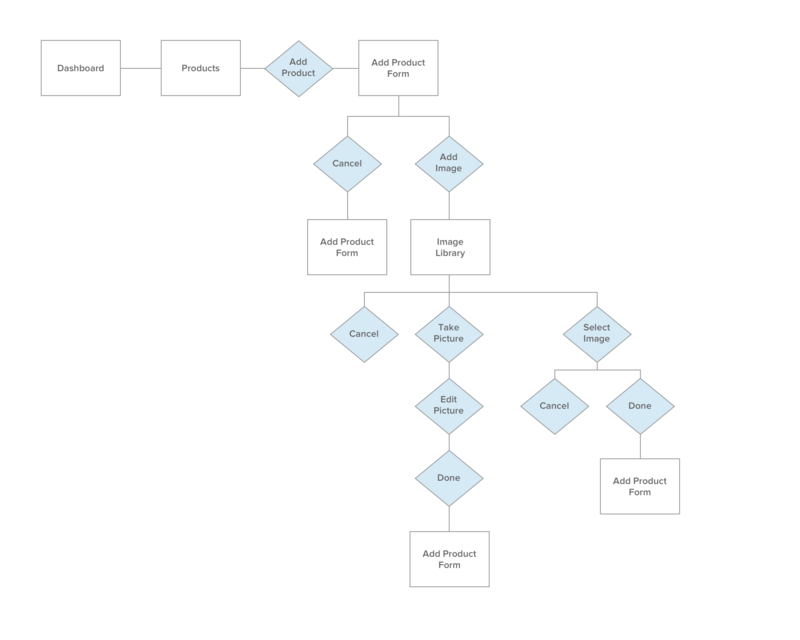 Currently with Products, the only Categories are “All Products” and “Low Inventory.” This navigation can be quite arduous if the user has a large number of products. 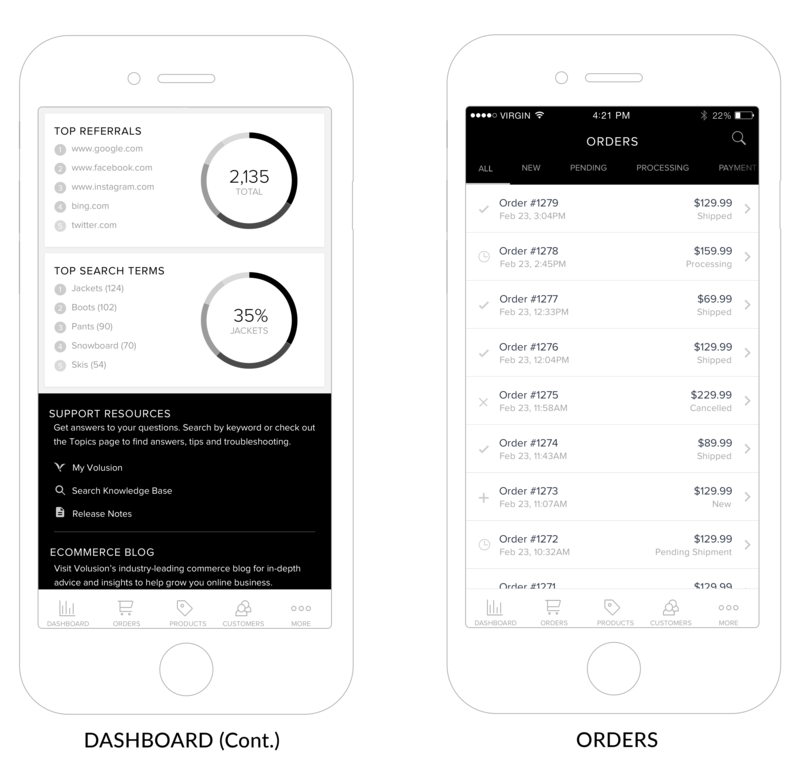 And with Orders, the user has to tap on a filter icon to choose which category of Orders they want to view. I believe if the user could receive push notifications, the user would be better able to manage their store in real time. If I am right, we will see an increase in engagement with the app. With each new activity, the user will receive a ping. Thus making them more likely to use the app on a daily basis. Currently, the app does not offer push notifications. Without this, the app runs the danger of being quickly forgotten about and seldom used.